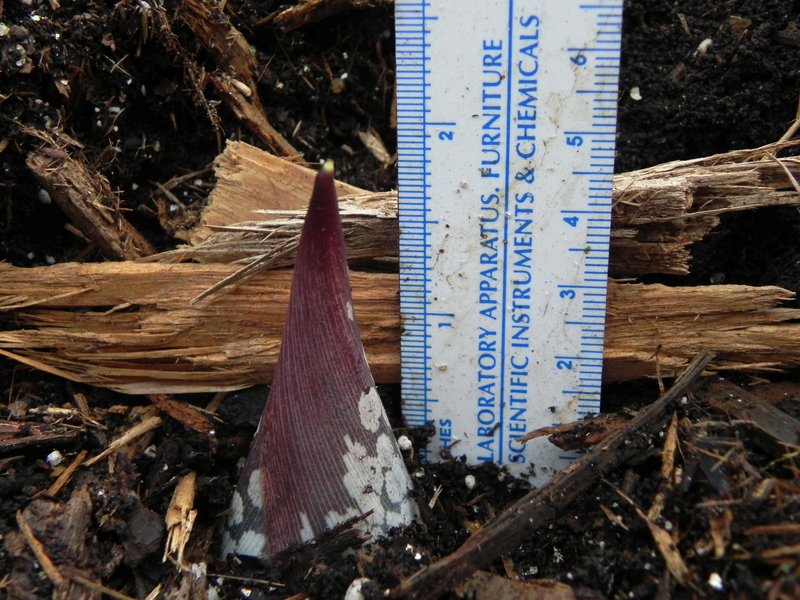 Perry the Corpse Flower, Amorphophallus titanum, has survived his/her seed production cycle, and is growing again. 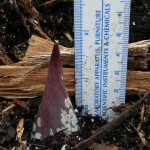 As of today, July 5, 2011, the shoot is about two inches high. We expect this growth to be a leaf, and its unfurling should be a fascinating event. Click here for the final blog post of the last leaf-unfurling event, and click here for the first. The title of this post refers to the fact that Perry’s underground part, the corm, is similar to a gigantic potato that has just one eye. Perry is scheduled for repotting this month. Since growth is now underway, we will probably do that soon. Stay tuned for a blog post on that operation, which will doubtless be both interesting and challenging.